You are here: Home » We’ve Moved! After 17 years in our office in Costa Mesa, we’ve moved to a wonderful new space in Irvine. We will always have great memories of all the volunteers, board members, committee meetings, hours of work in the conference room getting ready for events, doing huge mailing projects and hosting support groups. We thank all of you for giving so much to the important work that took place over those years and look forward to our work together in the years to come. A big thank you to all of the volunteers and supporters who helped with the process of sorting and packing for the move! 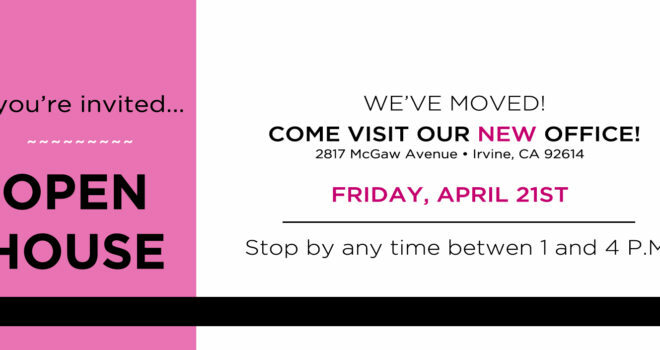 We say goodbye to one place and are excited to begin a new chapter in Irvine serving more women and saving more lives.